No combatant is a stranger to injury. Wise warrior that you are, you adorn yourself accordingly. A cuirass covers the core, but nothing guards the thighs. 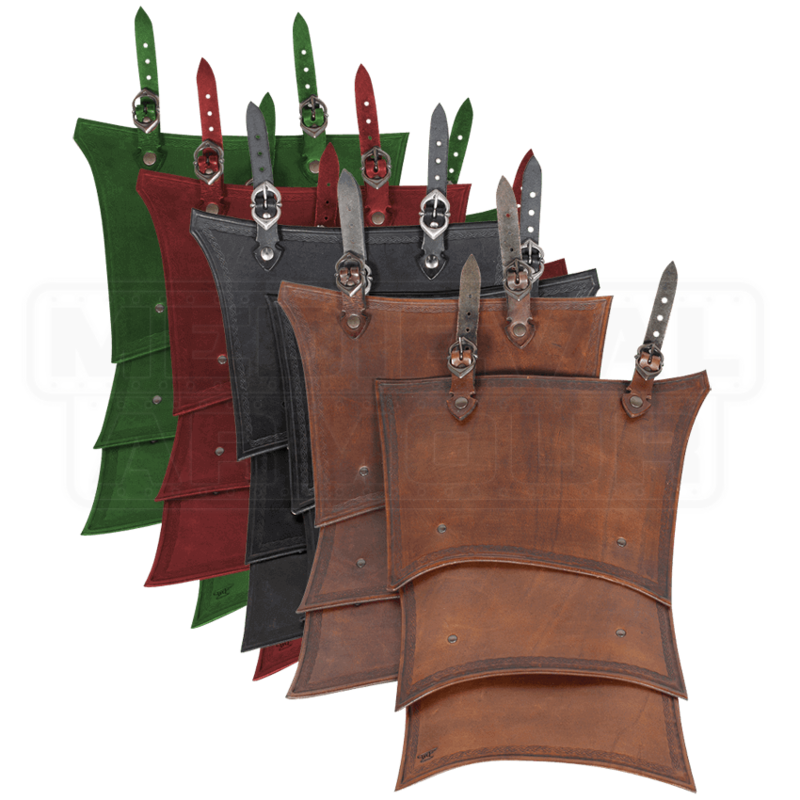 Complete your armour set with the Leather Tassets for Antonius and Mantikor. Constructed from excellent quality leather, this upper thigh armour provides protection for light combat. This pair of tassets attaches perfectly to either the Antonius or Mantikor Leather Cuirass. The embossed patterns lining the tassets match well with the stylish body armour. 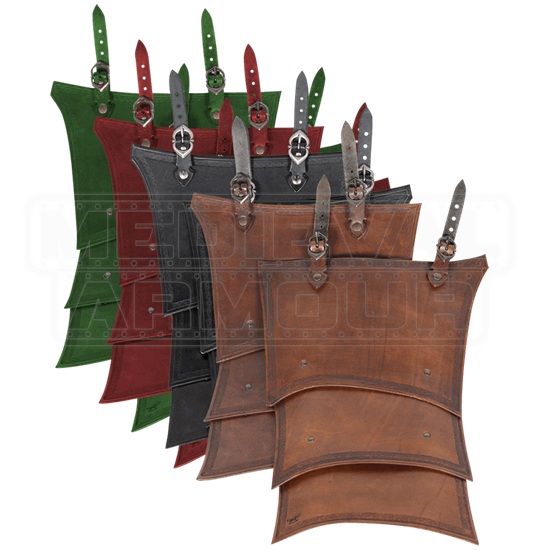 Fight bravely, avoid unwanted injury, and do so in style, with these fine leather tassets.